Although some early Hendrick reels were marked "Whiting & Hendrick Bros.," most of the reels made after Whiting left were probably unmarked. 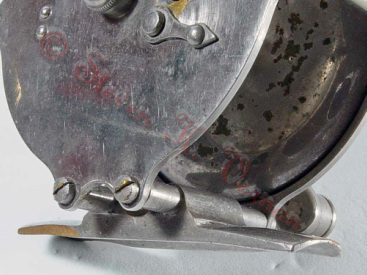 However, some or all had arrow-shaped levers on the tailplate to operate the click and brake. 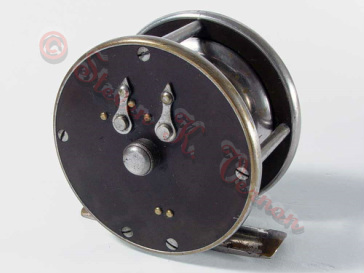 The unmarked reels shown below were probably made between 1884 and 1887. 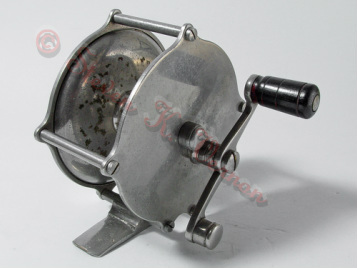 This unmarked, plated-brass and hard rubber reel is typical of Hendrick's early products. A similar early reel. 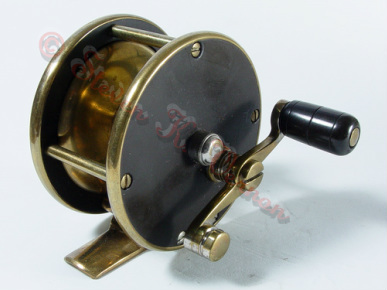 The counterbalance is different from the one on the top reel. 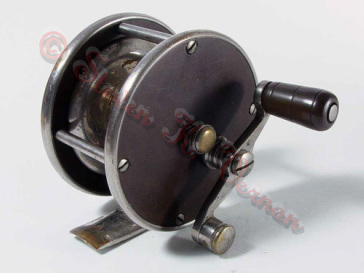 An early Hendrick raised-pillar reel. 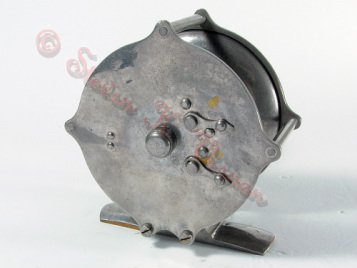 This is the foot Hendrick used on his early reels.